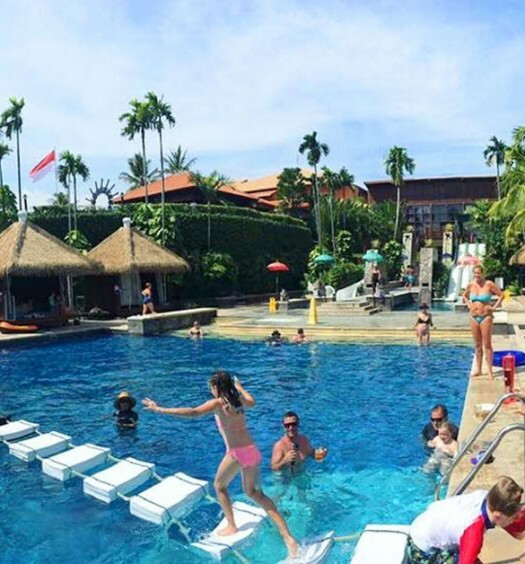 Dreaming of a holiday in Bali conjures up beaches scattered with sun-seekers, picture perfect rice fields, sacred temples on street corners overflowing with offerings, and of course, thousands of tourists. 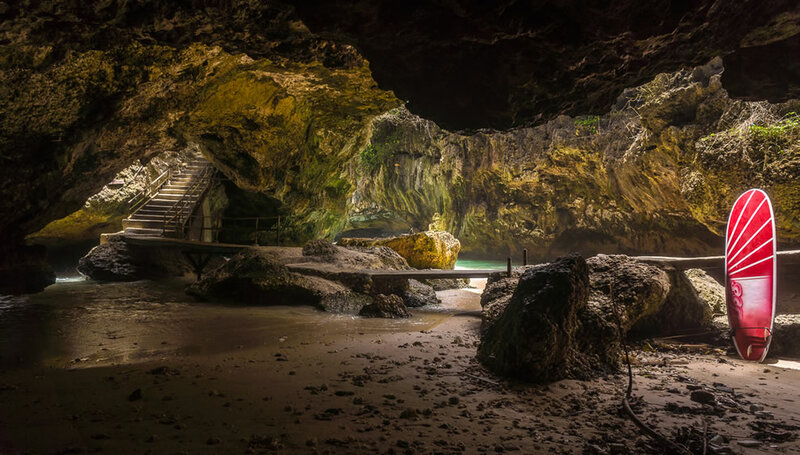 But do you know, this beautiful island houses hidden gems that you just can’t find in your tourist brochures? If you seek adventure and want to step on the less travelled path, we bring you to those secret places no one else will tell you about. 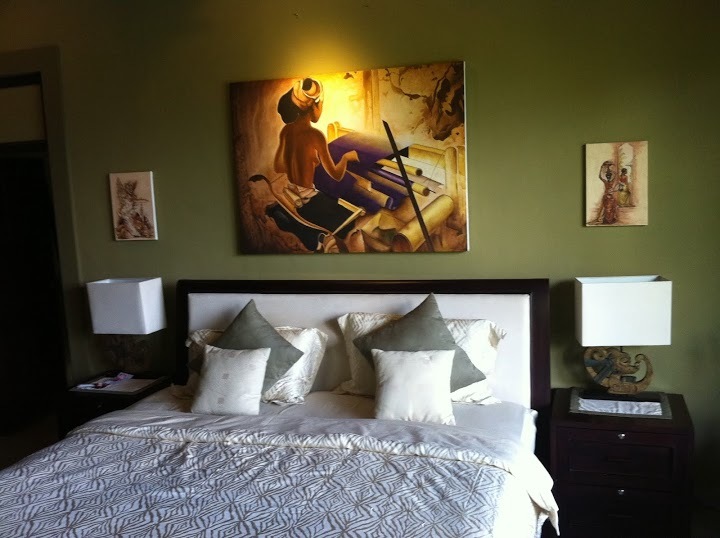 Have you always wanted to wake up to a breathtaking view of the mountains? 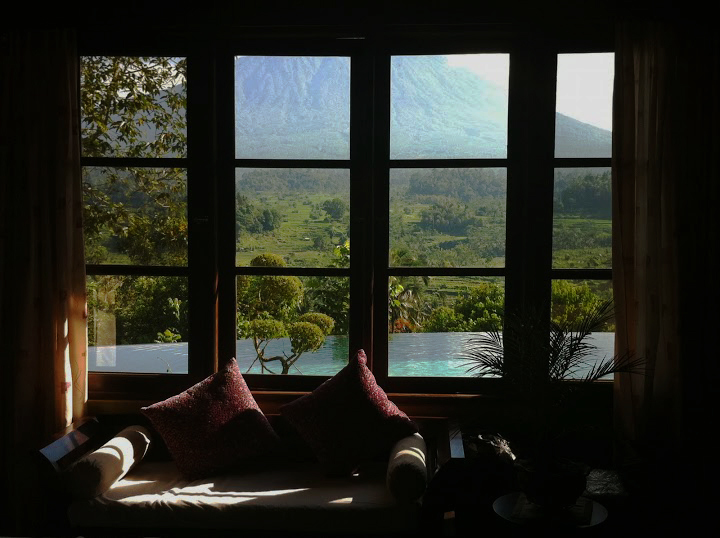 Or get an even more magical experience – fall asleep while watching the soft glow of the full moon casting shadows on the majestic Mount Agung. During each full moon, you will also be able to hear the temple rituals or priests deep in prayer – a very culturally significant period. This little-known villa is nestled east of Ubud, and 1.5 hours from the airport. 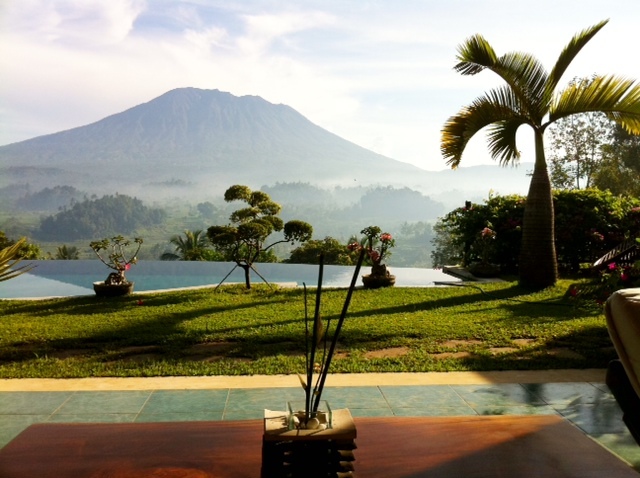 Between the villa and Mount Agung, you can see a stretch of rice paddy terraces beyond the valleys – just as though you just walked into a storybook. And if you swim to the edge of the infinity pool, you can watch the sunset over the mountains while you laze in the water. Isn’t it the perfect place to spend some quiet time with your loved one? Have you ever seen a house half-submerged in a lake like this? (Apart from when there’s a flood). 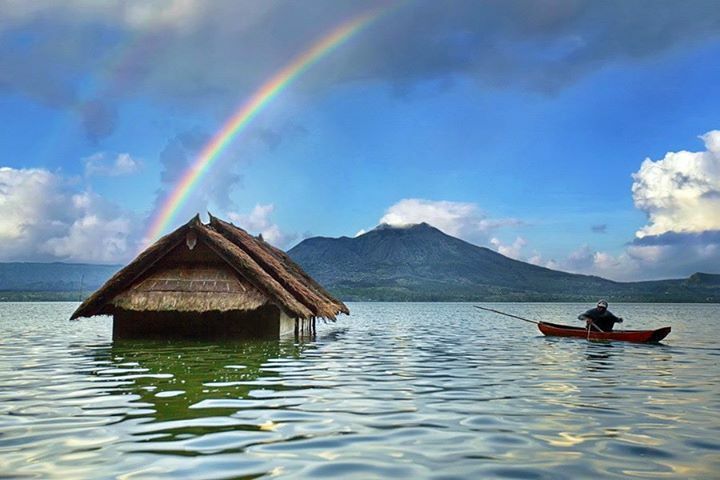 This floating home on the crater Lake Batur appears to be abandoned, possibly after a flood, and thus remains partially submerged in the lake (and has perhaps become home to small creatures living in the lake). But this strange sighting is still often photographed in artistic shots by curious travellers. 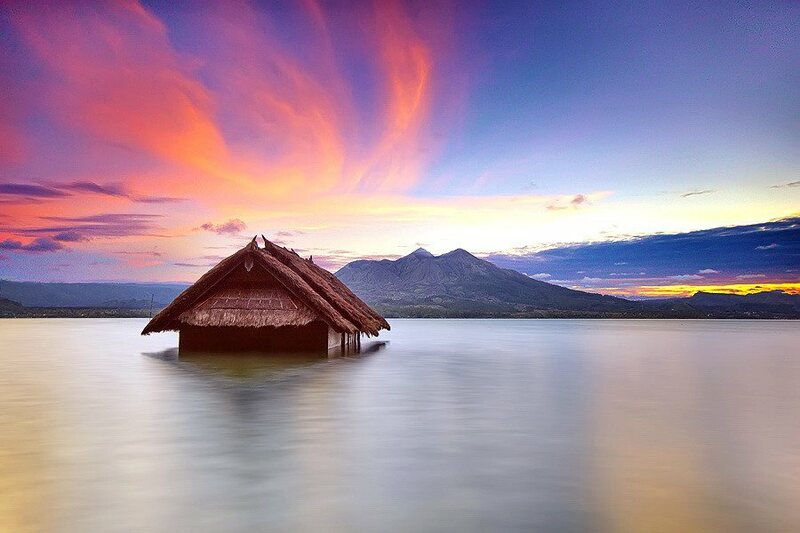 Isn’t it both odd and beautiful with the ‘lake-house’ in the foreground, framed by the active Mount Batur looming behind? 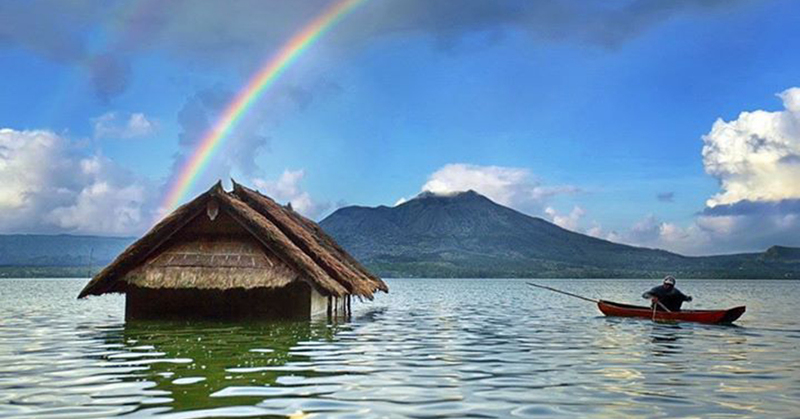 Getting there: You can either take a 30-minute drive to Lake Batur (in Kintamani) from Ubud or join one of the many private tours to Lake Batur and Mount Batur. 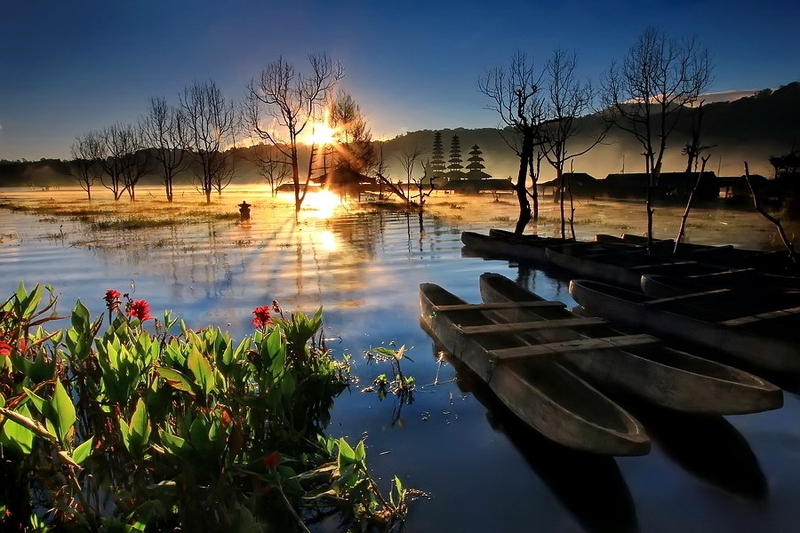 Tourist shuttle buses between southern Bali and Lovina stop off at Kintamani. This little fishing village might be popular with some clued in divers and snorkelers, but it is definitely off the grid for most visitors. 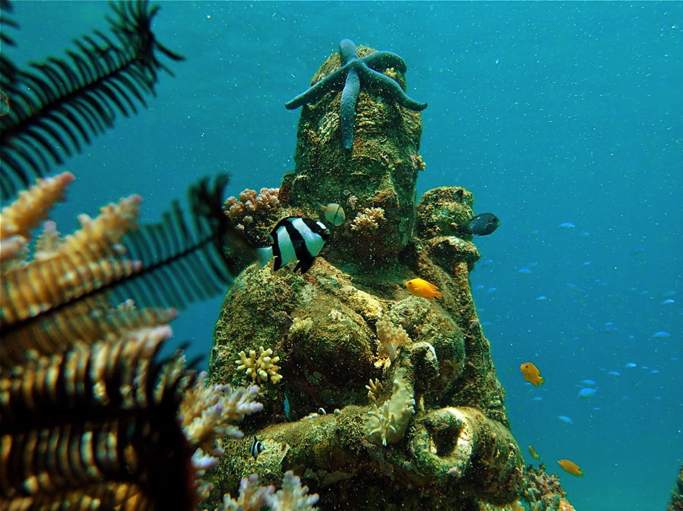 Just below the surface of those azure waves, where the shallow reef stretches, lies Pemuteran’s mysterious underwater temple, which – contrary to what you might guess – is not a sunken ruin. 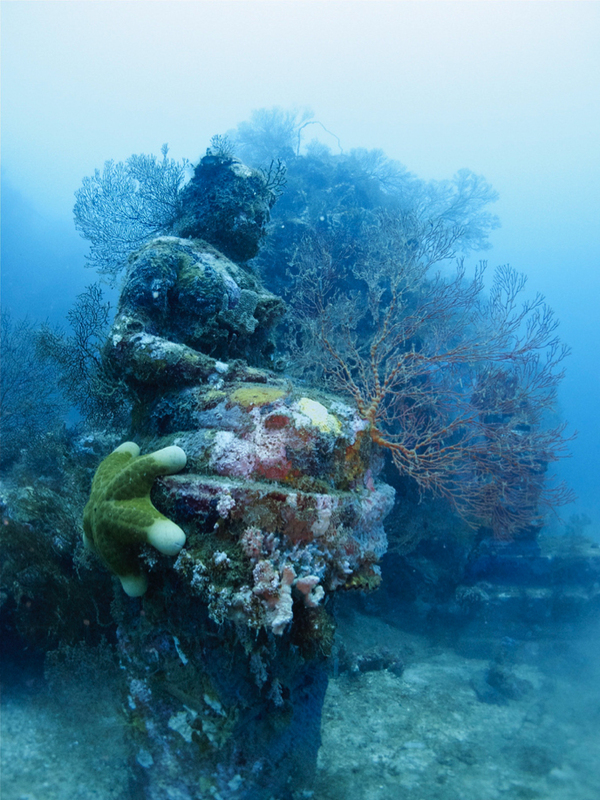 Deliberately constructed underwater as part of an environmental conservation programme, 10 massive statues and a four-metre-high temple entranceway were sunk 29 metres deep. 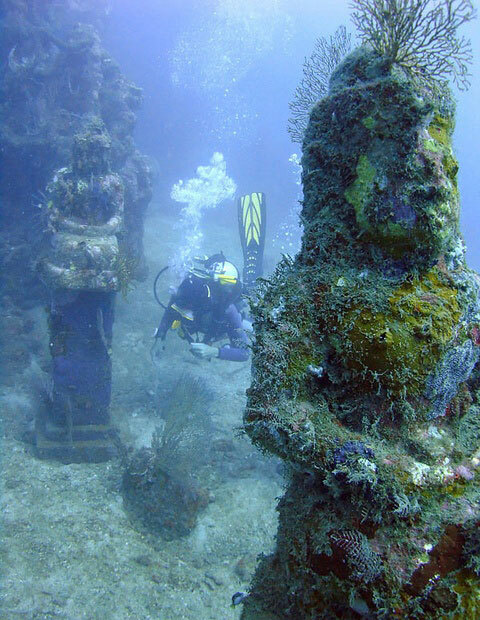 Years later, marine life has made the temple its home, creating a man-made reef setting that is both impossibly magical and open for discovery. 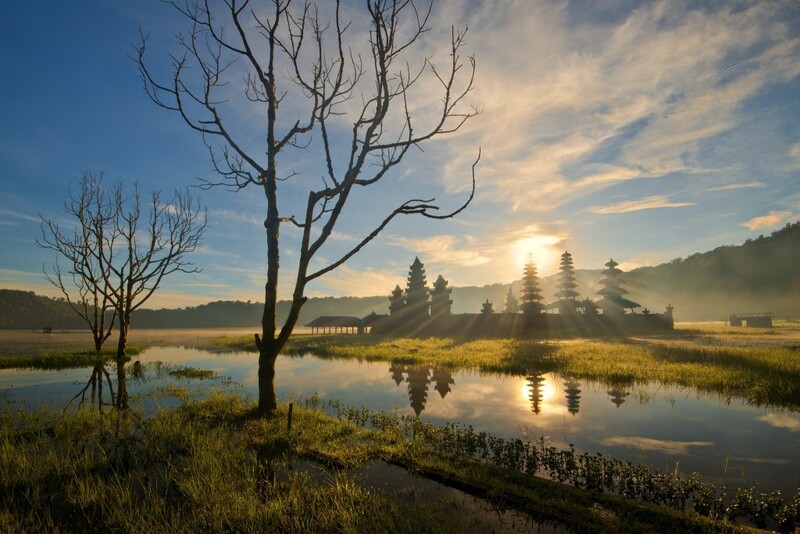 An oasis surrounded by rolling green hills and dotted with ancient temples, Lake Tamblingan is an untouched beauty tucked away in the Munduk and Gobleg countryside and Lovina. 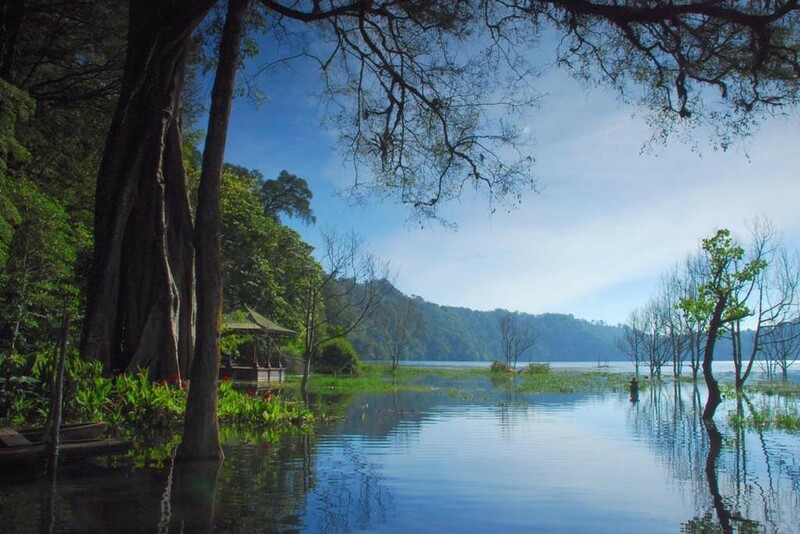 The lake, together with its adjacent Buyan Lake, can be seen from hills in Asah Gobleg countryside, Sukasada district and Singaraja regency, in north Bali. To reach this beautiful paradise, you can take part in Tamblingan jungle trekking tours, during which you will find an expansive variety of fauna and flora in the rainforest. And just when you need some rest, lie on the lush grass on the bank of the lake and enjoy some fresh fruit and packed sandwiches. 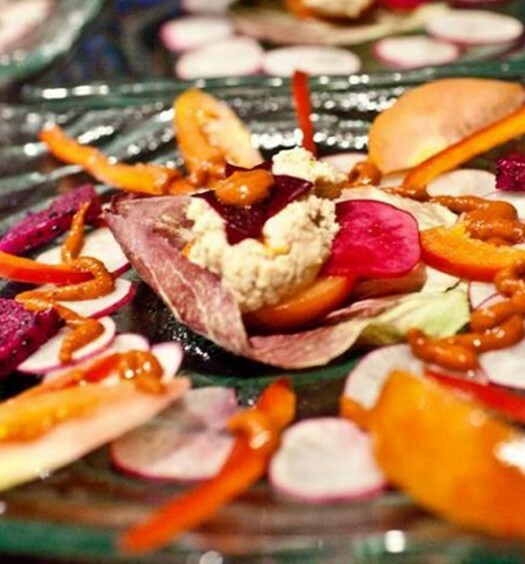 Trust us, you won’t regret this unique picnicking experience! 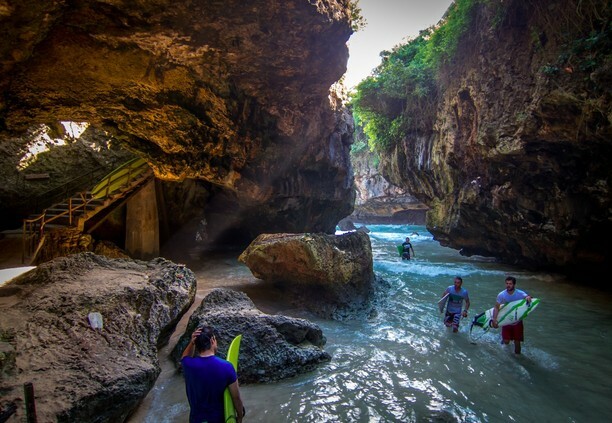 Popular with surfers, this scenic cave serves as a rest area after a long day of riding the waves. It can even be a unique backdrop for photoshoots! Getting there: Located at the Bukit Peninsula, Suluban Beach is connected to Kuta and Denpasar through Jimbaran by the busy Jalan Bypass Nusa Dua and this is the only route in, approximately 34 Kilometers from Denpasar. 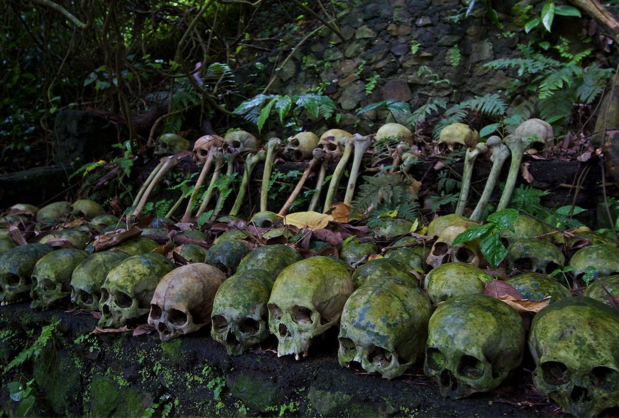 Trunyan village is definitely not for the faint-hearted. 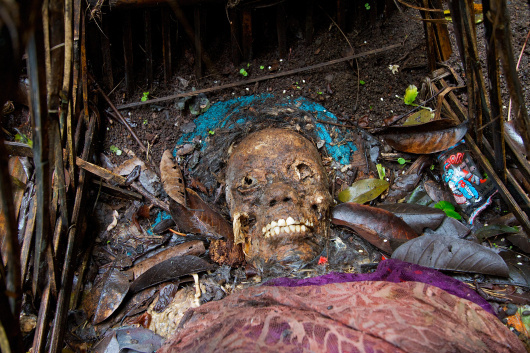 On the shores of Lake Batur in the Kintamini area, the people of Trunyan (unlike the other Balinese communities) neither cremate nor bury their dead. Instead, their bodies are left to rot in bamboo cages under the watchful eye of a fragrant tree that (thankfully) masks the smell of decay. Unfortunately, the main temple of death is off limits to visitors, though you can probably spot some bones to add to your (morbid) holiday snaps. But perhaps it’s not a good idea to eat before you get there. 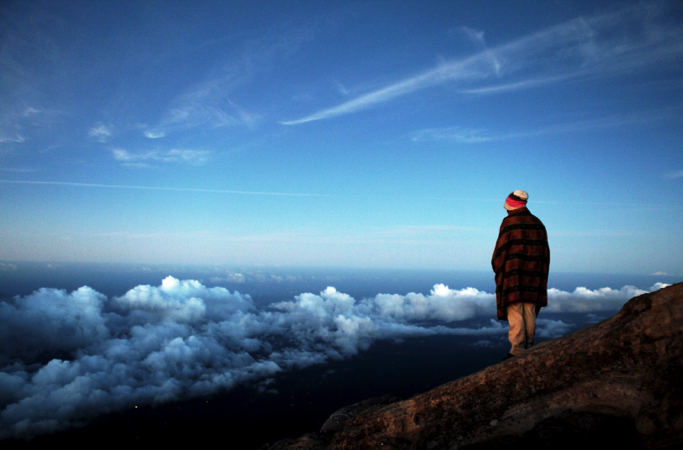 At over 3km high, Mount Agung is probably your best bet for the top views of Bali. This 5th highest volcano in Indonesia will probably take you around six to seven hours to reach the top. It’s quite a bit of an exercise, but you will be greatly rewarded at the summit – you can see the whole of Bali laid out in front of you like a banquet on a table, and the distinctive feeling of being a god among men. If you don’t want to spend your vacation at a typical resort, you can try Ubud’s bamboo houses, it’s pretty much a mansion in the sky. 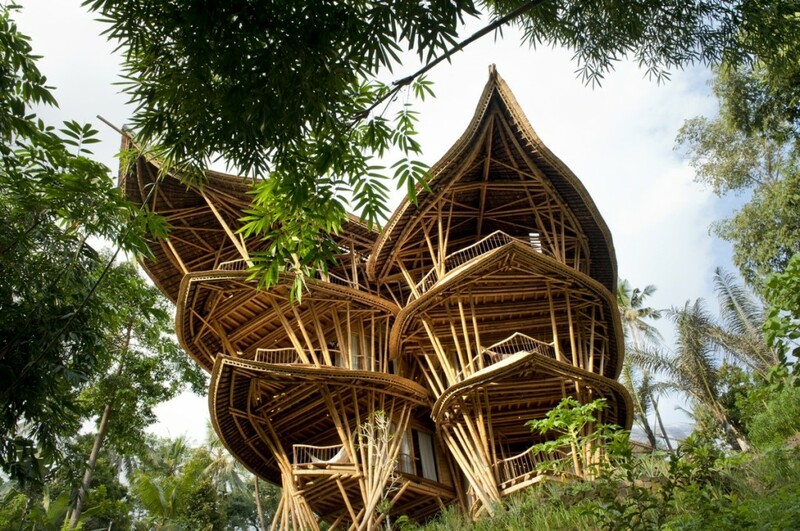 Situated in the Green Village on the Ayung River, these eco-friendly ‘tree-houses’ are completely made from bamboo. Room features include hanging reading pods, a massive bamboo entrance tube, and everything else you can get in a standard hotel room. 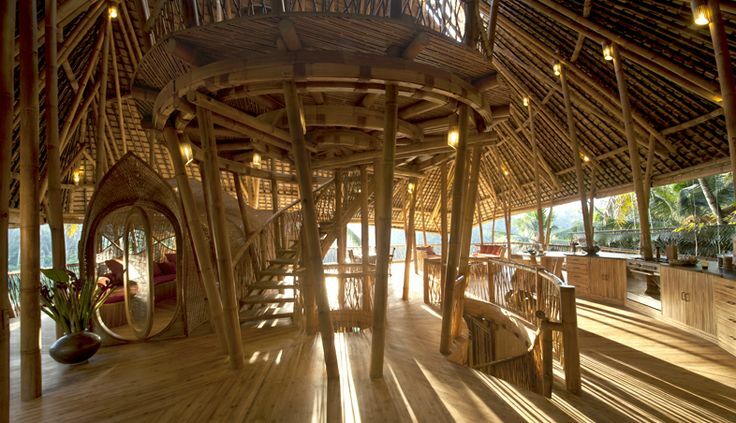 But if you are hankering after a more a budget option, you can just go for a no-holds-barred tour of Green Village, the Bamboo Factory and Green School. It’s equally fulfilling! 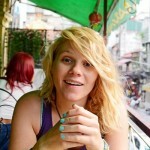 Love water but want to avoid all the touristy hotspots? 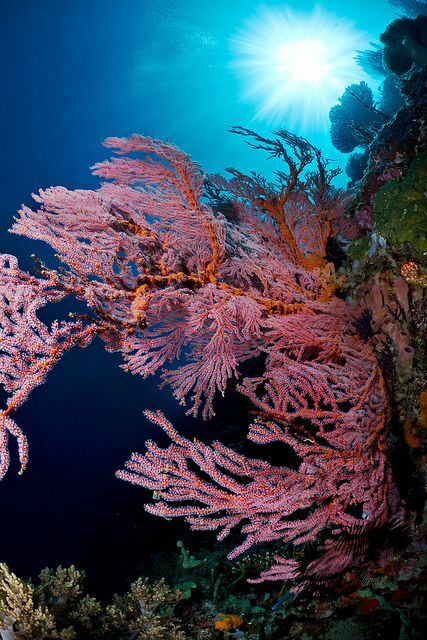 Menjangan Island is a secluded underwater wonderland, one of Bali’s first internationally recognised diving site, but definitely one that few know about. 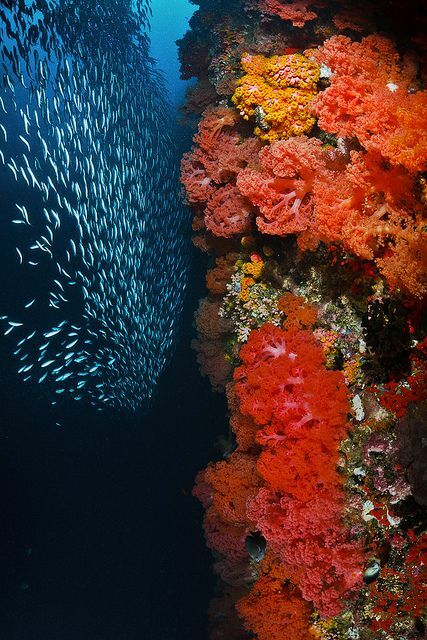 The incredible coral walls varies from 26m to more than 60m, showcasing a diverse collection of sponges, soft corals and enormous gorgonians fans, all in calm, current-free water, in which visibility can reach up to 50 metres. And if you dream about discovering some mysterious underwater ruin, this is just the right place for you – don’t miss the Anker Wreck, a 150-year-old wooden boat whose origin remains unknown even till today. This story is made possible by Villa Sidemen.